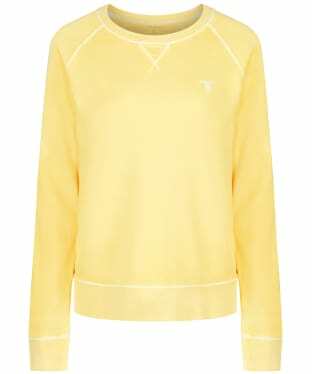 The Women's GANT Sunbleached Crew Neck Sweatshirt is ideal for adding a touch of sporty inspired style to your look this season and beyond. This stylish sweatshirt has been crafted from 100% cotton to offer you a soft touch fabric for an added touch of comfort and wearability. The GANT embroidered logo to the chest offers you the mark of GANT quality and style. For an added touch of stylish detailing this sweater has been sunbleached to create a faded look you are sure to love! 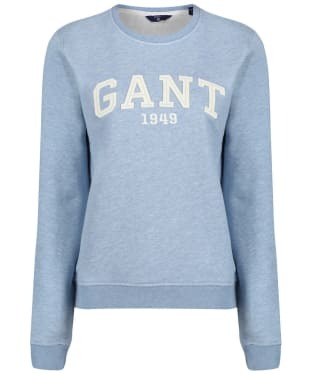 Stylish, casual and comfortable, the Women's GANT Logo Crew Sweatshirt is perfect for those off duty days. Whether you are popping into town or heading out for a walk in the country, this cotton mix sweat will keep you comfortable. 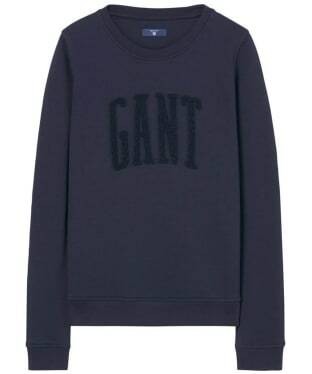 Perfect for layering under your favourite GANT jacket, this sweatshirt will add warmth on those cooler days. Timeless and on-trend, this easy to wear sweat is finished with a GANT logo design to the front for that fashion forward feel. 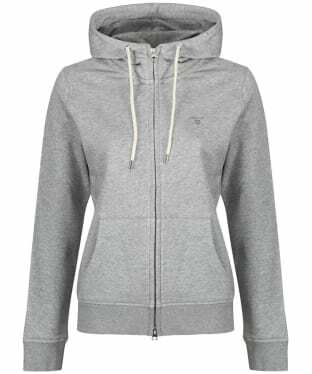 Perfect for placing over your favourite GANT tee when the weather starts to get cooler, the Women's GANT Full Zip Hooded Sweatshirt will keep you warm and looking stylish whether you are out and about around town or simply relaxing at home. Crafted from a beautifully soft cotton mix, this hoody offers a super comfortable feel making it our go to sweater jacket. With a full zip front fasten and an adjustable hood to keep any chilly winds at bay, this versatile hooded sweatshirt is a wardrobe essential for any on-trend lady.